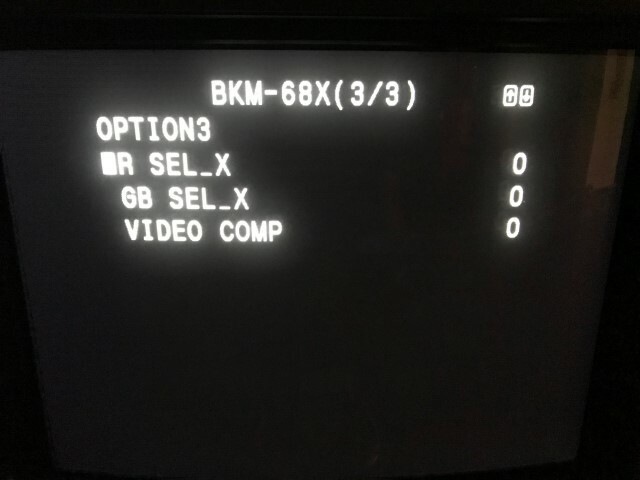 on some of these BVM's is there something like a "VCR" setting? I've heard turning that on will sometimes fix sync issues. 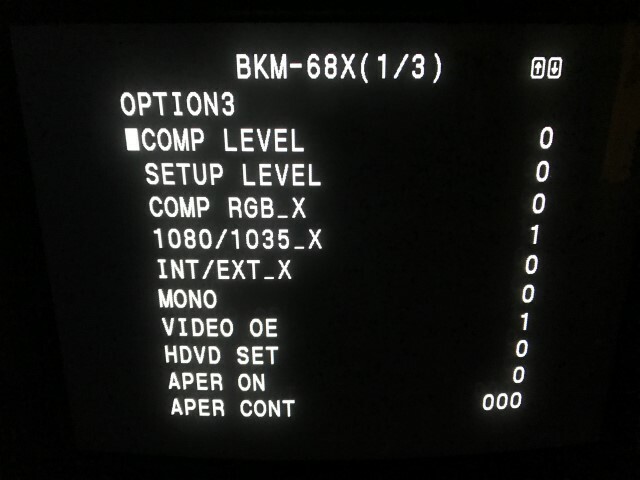 Unfortunately the "A" series of BVM's don't have the VCR or AFC setting like previous models do. I wonder if it does, but its just not as easily accessible. You should dig around in the A20's MAINTENANCE menu. Navigate to the BK or E board (I can't remember which) and see if there is a switch to turn it on. I think it was ASC or something like that. Usually there is a 0/1 (off/on) value that you can switch. Just be careful and remember you can revert settings by pressing the MENU button on the remote. Let us know if you have any luck. That's too bad. I have a A-series, but the only thing I tried was SNES via composite and it seemed to work perfectly. I was thinking the best use for the A-series monitors might just be for use with consoles that only output composite or S-Video. When I have time, I'll check again with Genesis over composite and see how it works. Has anyone made progress on solving this sync problem? Have any owners of the 68x card & Sega systems been able to try an Extron 580xi? It would be great if anyone who owns one could chime in...maybe that's the Sega solution? Also, does anyone have thoughts about the SDi solution? I don't think 480p SDi is possible, but it would certainly be a decent solution for A-Series owners who don't have the 68x. Thank you for posting this video, it's going to be of great help! I'm willing to try an Extron 580Xi, do you know if they are sold in Europe? The 580xi isn't different from other Extron interfaces. The 580xi has 5 BNC outputs, so it doesn't have an extra pin for composite sync. Instead the CSYNC dip switch toggles between H-Sync and C-Sync on of the BNC outputs (or let's say it's supposed to do that). It's strange that it would make such a difference. I ordered one for myself and I'll see if it helps the occasional weird sync issues I have with my D-Series. So the gscartsw uses a EL1883 for stripping the sync and with the HV switch enabled, provides a true RGBHV output (the LM1881 will only output V sync, no H sync). According to the manual of the Extron 580xi, turning the COMP SYNC switch on outputs combined horizontal and vertical sync for RGBS. 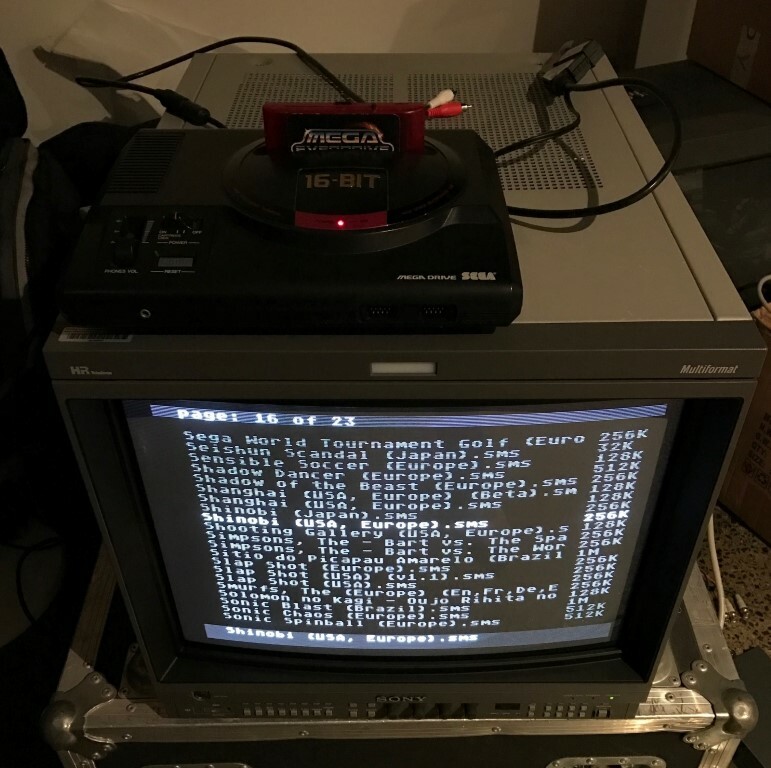 So essentially we have a RGBS source (Sega Genesis / Master System) which is then converted to RGBHV by the gscartsw and then converted back to RGBS by the Extron 580xi. I'm glad this works, but it doesn't seem to make sense. 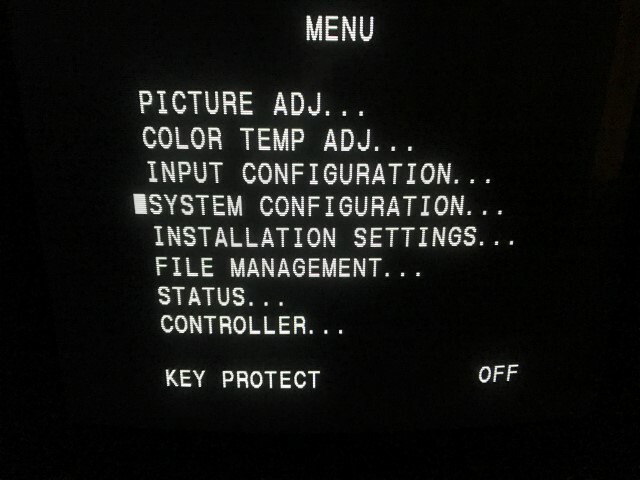 The Extron 580xi must be doing something more than just converting back to RGBS, otherwise straight RGBS to RGBS should work without the image skewing issues. I'm sure an oscilloscope would reveal more. retrorgb, have any internal jumpers on your 580xi been changed (I'm not even sure if there are any like there are on the other Rxi interfaces)? How do you have the RGBS output connected to the 580xi, Sync connected to the H/HV output? As far as I know, no jumpers were changed. I'll check on the ones I just ordered. 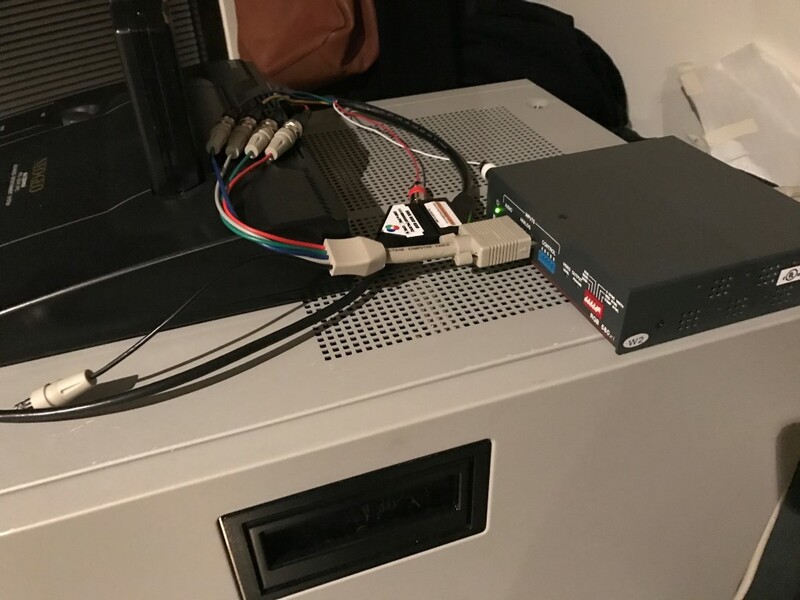 When I connected directly, it was a female SCART to VGA cable I made myself with sync only connected to pin 13, hsync. 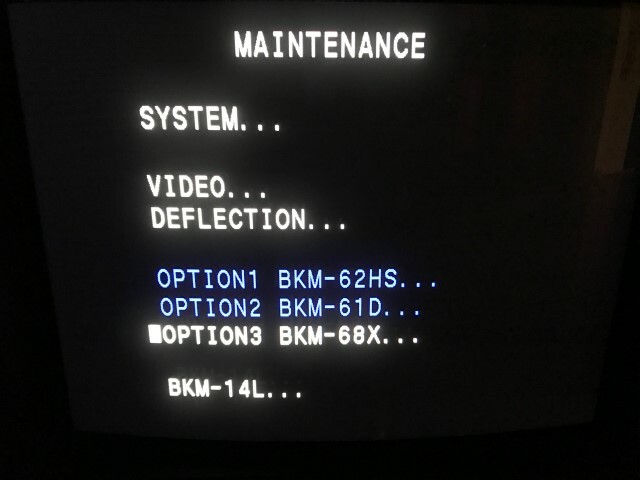 In case anyone is interested, this is how you access the BKM-68X maintenance menu and also the options that are available (I don't believe these options are listed any either of the operation manual or service manual for either the A20F1 or the BKM-68X). If anyone has any suggestions on what options to enable / disable to get it to sync properly with consoles like the AES, please speak up. 1) Press the MENU button and select "SYSTEM CONFIGURATION..."
I'm getting a few more parts and consoles in this week to try and do some more testing. I am very glad that this thread is proving to be usefull for the community. Retrorgb, xga and everyone, thank you for your invaluable help so far. I'm watching undergoing progress with a lot of interest, let me know if you need some extra testing with my hardware, I'll gladly help. 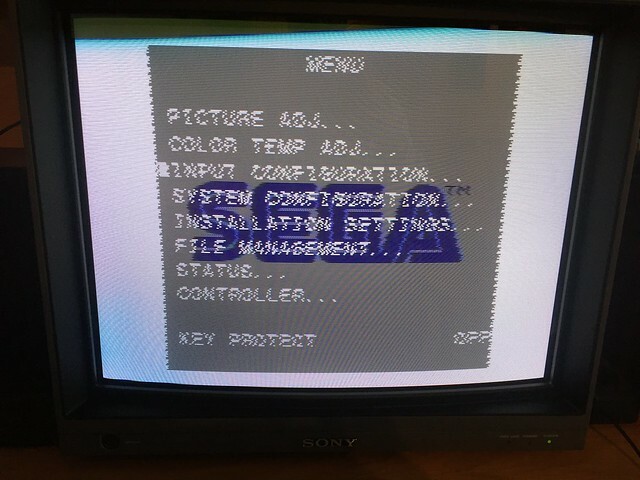 Just wanted to post a quick update to let you know that I bought a second BVM-A20F1M monitor with BMK-68X board, this particular monitor comes with software version 1.10 and only has 876h of operation time! 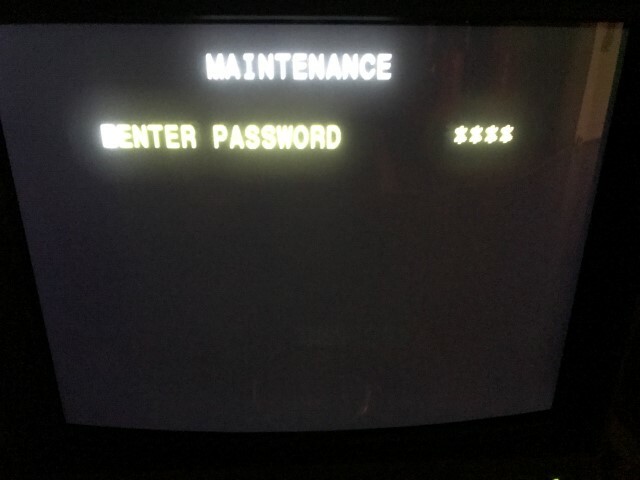 I can confirm that the same problem occurs with this BVM-A20F1M unit, so I presume it's safe to say that it's not a software related issue, as version 1.03 shows the same sync issues than software version 1.10. Please let me know if you want anything tested with this two units, as I might sell the unit with 20.000 hours in the near future. I've recently completed some more testing with the BVM-A20F1 monitor and a couple of other sync processing devices. Some good news, some bad news and some more bad news. The two sync processing devices I used this time where the Retrotek SBV1 and the Extron 580xi (as suggested by retrorgb). 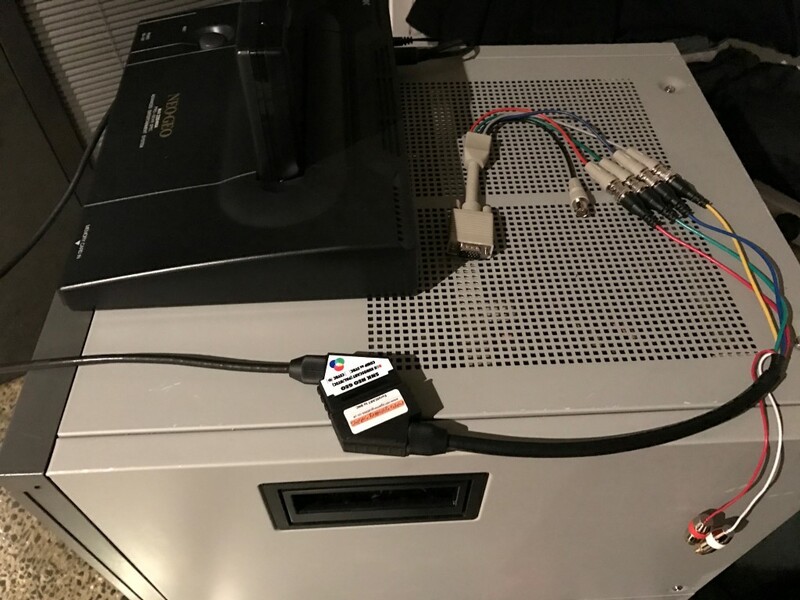 The Retrotek SBV1 (made by Fusion916 from the forum) has a SCART input and a DE-15 VGA style output and uses a EL1883 IC for sync stripping with a slide switch to select between RGBS and RGBHV output. Of note, the EL1883 IC is the same sync stripping IC used in the gscartsw. On to the good news. 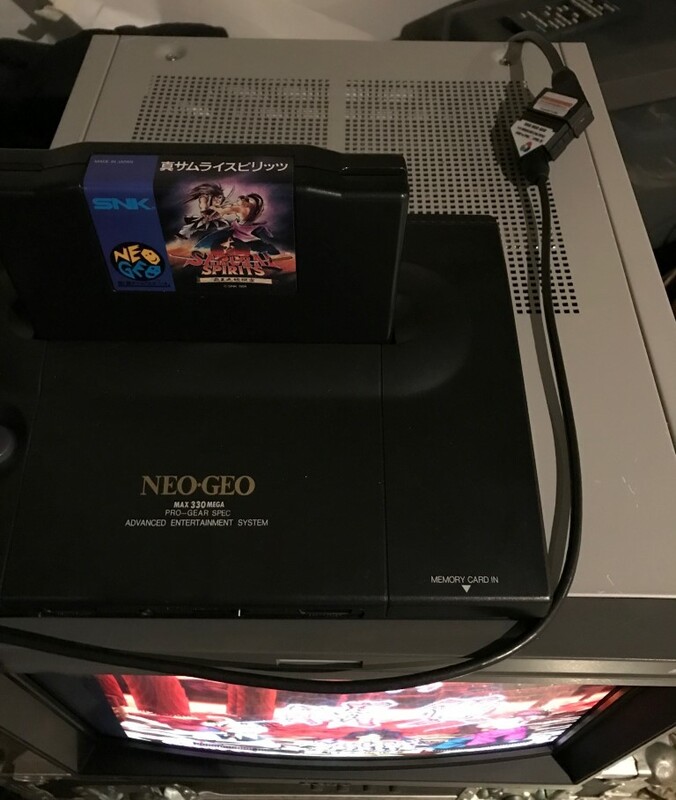 Through trying every possible combination I could think of, I have managed to get both Master System titles on the JPN Mega Drive and the JPN Neo Geo AES to sync perfectly. 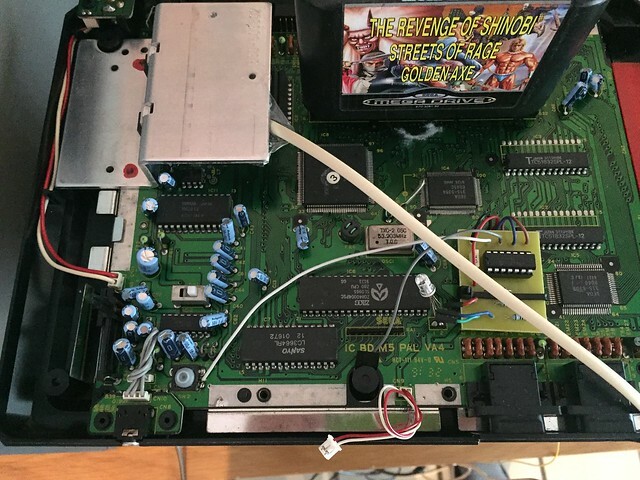 Unfortunately and unlike retrorgb's solution, with this combination of devices, there is not one fixed setting that will allow the Mega Drive, Master System games (running through the Mega Drive) and the JPN Neo Geo AES to work without changing the cable configuration. The more bad news is that no matter what I try, I cannot get the AUS (PAL) Mega Drive and Master System to sync at all. 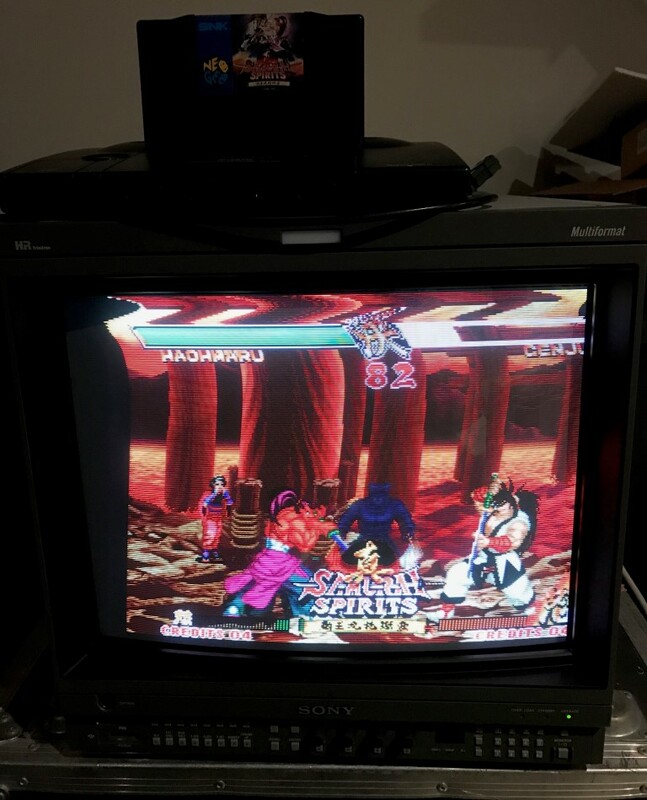 It's important to note that the AUS console has been modified to 60Hz and works fine on D series BVM's. The more I experiment with the A20F1, the more I think it is super strict on broadcast sync standards and simply won't accept anything that falls outside these standards. See the table below for the different combinations that I've tried this time. 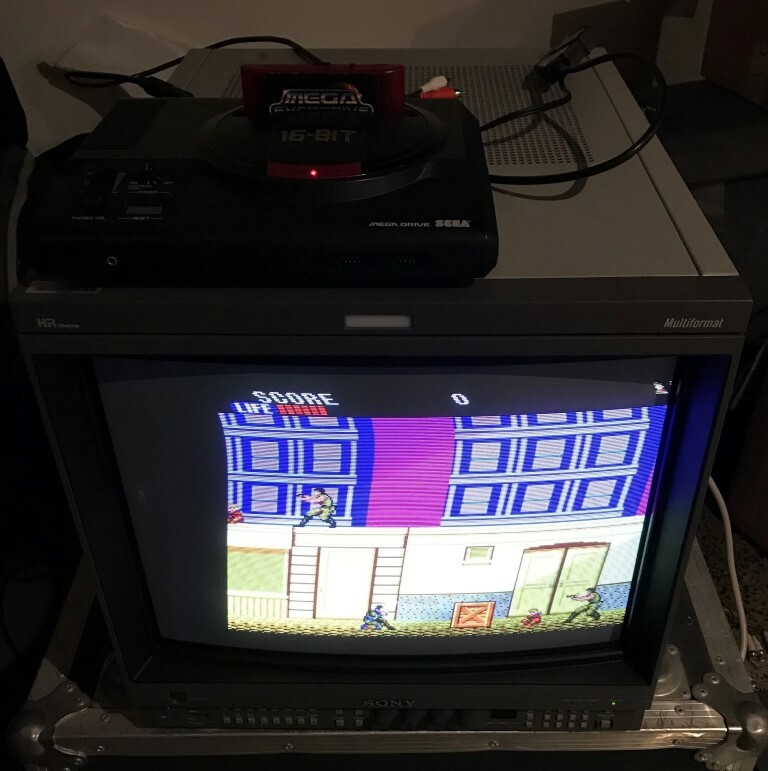 It's worth mentioning that I also tried using a SCART cable with composite video for sync with the Mega Drive and it made very little difference. I have a couple of other sync devices to try out, including one that takes the sync signal and generates new horizontal sync pulses more inline with broadcast standards, though I'm not holding my breath that this will be the final solution. Having one device permanently connected to the monitor to sort out all of these sync issues would be the ultimate. It sounds as though superg's new gscartsw_lite with the digital sync regeneration feature could be the answer to all of our problems. If it does in fact fix all of these issues, perhaps he would consider making a stand alone device with just the digital sync regeneration function? xga your testing results are very interesting, as always. 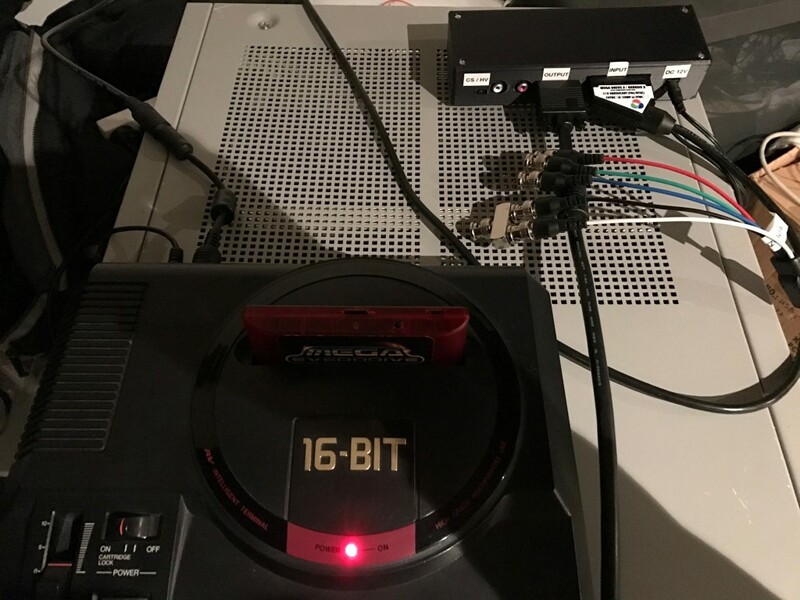 While I wait for my Extron 580xi to arrive, I too have been testing with my BVM-A20F1M, this time I ordered one Megadrive Composite cable and some adapters to connect my megadrive consoles to the BKM-62HS. 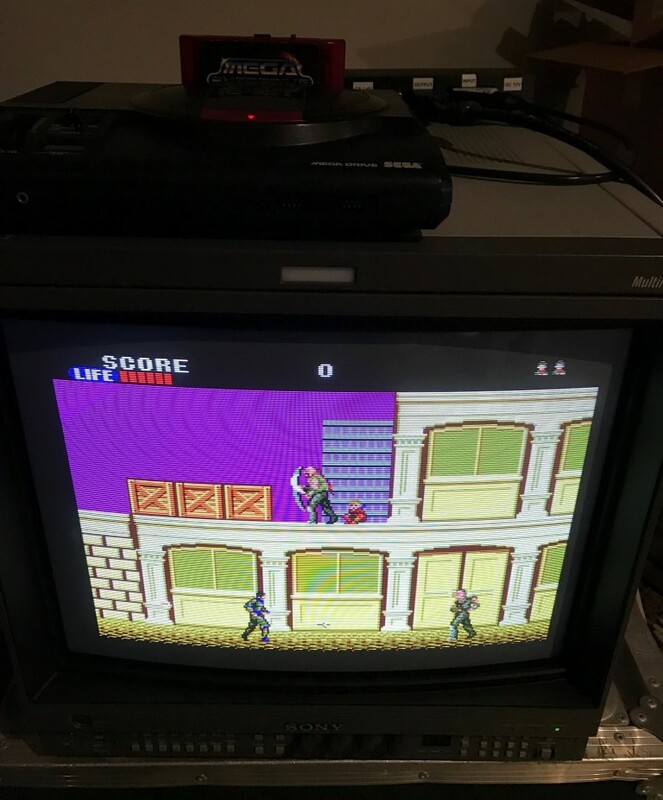 My switchless 50/60Hz moded Megadrive won't sync at all (Board number IC BD M5 PAL VA4), on the other Megadrive (Board number IC BD M5 PAL) the monitor syncs but I get a blury, bumpy picture, as seen below. 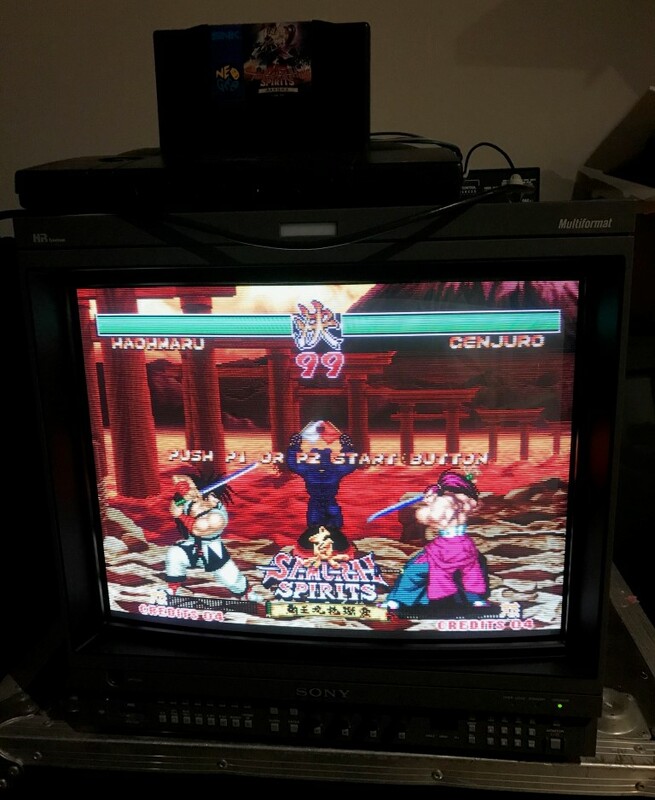 On composite, my Neo Geo AES works perfectly with the BKM-62HS on my BVM-A20F1M monitor, so it's not just a BKM-68x issue. Your spreadsheet is very nice, could you please share it? it would be useful to create a google spreadsheet with all testing scenarios to help troubleshoot. 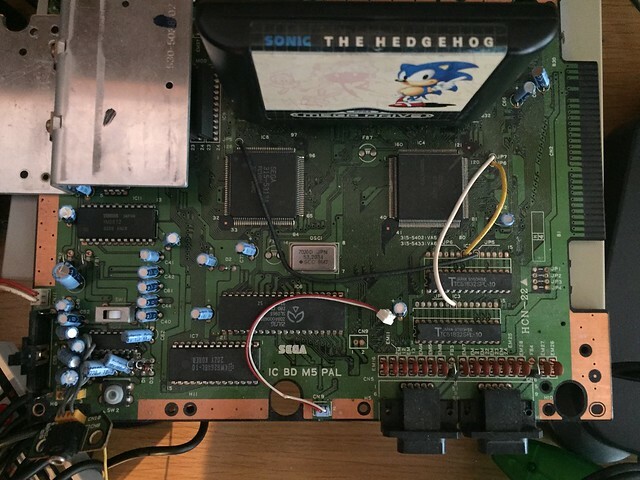 Next step will probably be to mod the Megadrive for S-Video, Kerrigor was using it successfully for his BVM-A20F1M. I've also just (unsuccessfully) tested with a sync circuit based off Martin Jones' design - https://martin-jones.com/2014/09/16/that-syncing-feeling-classic-arcade-games-that-wont-stay-still/. I only bothered to test the PAL Mega Drive (switched to 60Hz) with it. I've got another Extron sync device still to try. Interesting find with the Mega Drive and AES composite testing. Do you plan to purchase superg's upcoming gscartsw_lite and perform testing with your A20F1? My Extron 580Xi arrived with all cables and I've been doing some testing, I'm afaid I don't have good news. The only console that synched at all with the Extron was the NES! I've also noticed some loss of brightness, maybe playing with the Video level and Output Peaking potentiometer could improve things? Crossing fingers for the gscart_lite! Thanks for reporting back. I only tested NTSC consoles, so I wonder if PAL is the issue? I should have access to all my equipment next week, so I'll try testing a PAL Mega Drive soon. Also, I wasn't able to test PAL consoles...hopefully soon. Extremely relevant video, great work, thank you. Let me know if you want me to ship a PAL Megadrive, I can do that right away, also that console won't sync properly with composite either, neither does my PAL Master System, don't think it's a BKM-68x issue. Also, have you discussed this issue with superg? 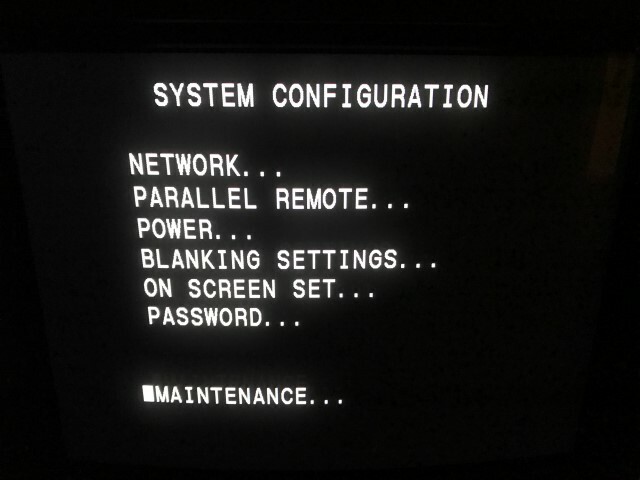 As you'll see, I can't get the lite to work in the same PAL consoles that have trouble working with the BVM-A20F1M. hello, i have a solution for the french N64 with an LM1881 and a teensy 3.6.
are you interested about my solution? Indeed! I'm in the list for a sync box if Mike decides to make one. Mike Chi from retrotink told me he thought splicing in RGBS input into one of the other NTSC input cards could very well just flat out work. Last edited by SpiderWaffle on Thu Feb 01, 2018 10:50 pm, edited 1 time in total. Mike Chi from retrotink told me he thought splicing in RGBS input into one of the other NTSC input cards could very well just flat out work. thoughts? not the worst idea. The input boards likely convert to RGB by themselves, since this is what the monitor eventually displays, so there has to be a RGB interface somewhere. So how many consoles does the BKM-68X have sync issues with? Do the NeoGeo's also have very low Csync voltage? that could be at least part of the problem. 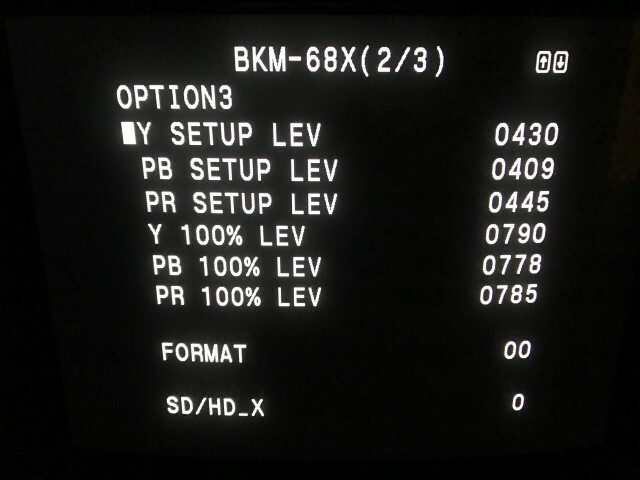 I can confirm that the PAL Sega 32X doesn't sync with the BVM-A20F1m through the BKM-68x either.